Frosty the Brewfest is downtown Kalispell’s premier winter brewfest. 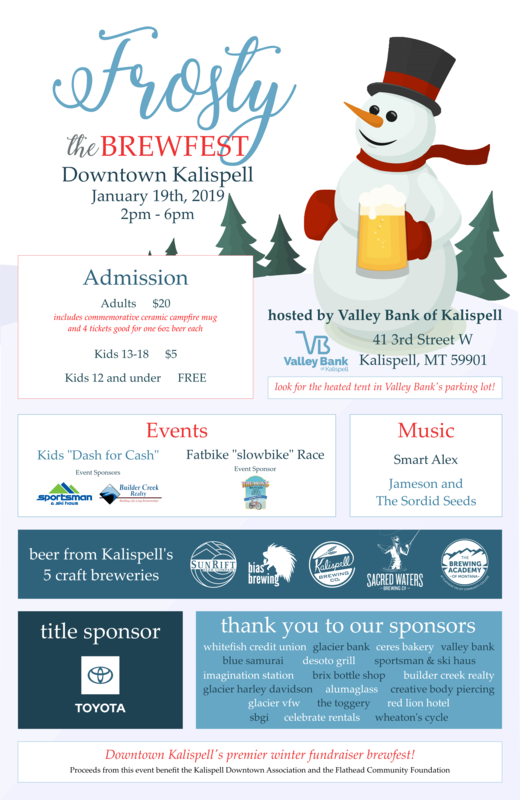 With the help of many sponsors and Kalispell’s five brewing companies, we anticipate a great turn out for the inaugural Frosty the Brewfest on January 19th, 2019 from 2-6pm. Adult admission includes 4 drink tickets, and the first 500 attendees will receive a limited edition commemorative ceramic mug!